Are Church and Religious Workers Covered by the FLSA? Congress enacted the Fair Labor Standards Act (FLSA) in 1938 as America was beginning to recover from the Great Depression. After years of unemployment, workers would often take any job offered no matter how little they were paid or deplorable the conditions. Knowing this, Congress wanted to include as many workers as possible within the protections of the Act. Still on the books 80 years later, the FLSA sets minimum wages and requires most workers be paid for all hours worked and overtime for hours worked in excess of 40 per week. Like all federal laws, however, the FLSA is riddled with exceptions and exemptions. Firefighters, managers, seamen and farmers, for example, have special rules. So do ministers and religious organizations. As a general rule, religious organizations and churches are exempt from the FLSA. For example, a priest or nun who takes a vow of poverty can’t later sue for unpaid overtime or wage theft. In passing the Fair Labor Standards Act, Congress relied on the Commerce Clause of the U.S. Constitution for the power to regulate the pay of workers. Theoretically, any business or organization that relies on telephones, U.S. mail or the Internet has some nexus to interstate commerce. Courts, however, look to see if the employer has a business purpose. Churches typically exist to serve spiritual needs, not commerce. When a church or religious organization operates a school, nursing home or rental hall, however, there may be sufficient nexus to require compliance with the FLSA’s minimum wage and overtime rules. One of the most recent appeals court cases dates back to 2008. The 7th Circuit Court of Appeals took up a case involving husband and wife members of the Salvation Army, Steve and Lorrie Schleicher. The couple were commissioned as “Captains” and ran the Salvation Army Adult Rehabilitation Center in Indianapolis. To keep things in context, it is important to know that the Salvation Army considers its commissioned officers to be ordained ministers. The organization doesn’t pay its officers wages, instead in 2007 they were paid an allowance of just $150 per week. At some point, the Schleichers’ believed they were entitled to more. They sued the Salvation Army under the FLSA and were promptly expelled. The trial court dismissed their complaint finding the couple were covered by the religious minister exception. This lead to the couple’s appeal. On appeal, the appeals court upheld the dismissal of their complaint. In doing so, the court looked at the duties of the couple. Were they acting as ministers or acting as workers? The court said they fell within the minister’s exemption. There are few bright line tests found in the Fair Labor Standards Act and the minister’s exemption is no exception. Most FLSA cases involve intensive fact finding. Here the court found that the Schleichers frequently wandered through the facility getting to know the inhabitants and ministering to them. Had they been cashiers in the center’s thrift shop or food service workers that fed the residents, they may have been covered and eligible for more pay. The 7th Circuit’s decision was largely based on a U.S. Supreme Court decision from 1985. In that case, the U.S. Department of Labor took action against a religious foundation whose workers did not receive overtime. The Tony and Susan Alamo Foundation was a nonprofit religious organization incorporated in California. Among its primary purposes was to “establish, conduct and maintain an Evangelistic Church; to conduct religious services, to minister to the sick and needy, to care for the fatherless and to rescue the fallen, and generally to do those things needful for the promotion of Christian faith, virtue, and charity.” When reading the Foundation’s mission, it appears it was set up to do the things churches commonly do. There is a big difference, however. Unlike many churches that survive on donations and tithing, the Foundation operated a number of what most people would consider commercial businesses including gas stations, retail clothing outlets, grocery stores, hog farms, a hotel and a roofing business. The Department of Labor found that the commercial enterprises of the Foundation were covered by the FLSA despite ownership by a nonprofit religious foundation. it would be difficult to conclude that the extensive commercial enterprise operated and controlled by the foundation was nothing but a religious liturgy engaged in bringing good news to a pagan world. By entering the economic arena and trafficking in the marketplace, the foundation has subjected itself to the standards Congress has prescribed for the benefit of employees. The requirements of the Fair Labor Standards Act apply to its laborers. Not happy with the Court of Appeals decision, the Foundation went to the U.S. Supreme Court. There the justices agreed with the lower court rulings and noted the difference between religious activities and commercial activities. When a church elects to operate a gas station or motel, its workers are subject to the Fair Labor Standards Act. Religious activities are not commercial and remain exempt. Where things get tricky are with church operated schools. Are schools commercial enterprises? 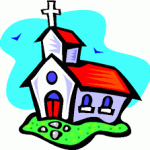 In 1990 the U.S. 4th Circuit Court of Appeals upheld the application of the FLSA to a church school operated by the Shenandoah Baptist Church. No one disputed that the church considered a Christian education to be vital part of its mission. Even the government conceded that point. The Department of Labor and EEOC contended, however, that the FLSA and equal pay laws applied to teachers at the school. At the time the case began, Shenandoah paid teachers $6000 per year. To supplement teachers’ income, the church also offered a “head of household” payment to male teachers. According to the church, the Bible clearly states that the husband is the head of the household and responsible for the support of his family. Even female teachers who were trying to raise their children as a single parent did not get the stipend. Once again, many of the very workers that the government sought to protect did not want the government’s help. 21 school employees intervened in the case to assert their own First Amendment rights and support the school. Although the court ruled in favor of the government, it conceded that the questions surrounding religious schools were quite thorny. Had the teachers been nuns instead of lay teachers, the conclusions would have probably been different. Ditto for the support staff. Issues surrounding church operated nursing homes, schools and other facilities continue to be litigated today. There are few bright lines tests but we know that courts look to the activities of the workers (teaching school versus preaching) and whether or not the people doing the work are lay or part of a religious order. Unfortunately, making those close calls mean that the courts must confront First Amendment issues of church and state. If you are a working in a church run nursing home, hospital, school or rental hall, chances are good that you are protected by the Fair Labor Standards Act and its overtime and minimum wage rules. Need more information? Contact one an experienced FLSA lawyer today. Over overtime and wage and hour lawyers can help evaluate your case. If you are covered by the law, you may be entitled to double back wages and have your legal fees paid by your employer. All inquires are protected by the attorney – client privilege and kept strictly confidential. too or visit our Wage Theft and Unpaid Overtime information page. Cases handled in many jurisdictions throughout the United States.